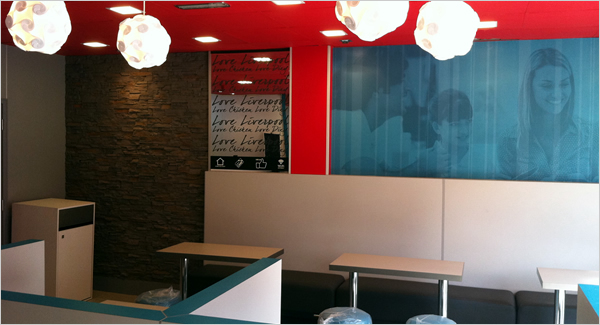 One of our latest design concepts uses the component based design method 'LIM' which focuses on layout and store flow in compact spaces. 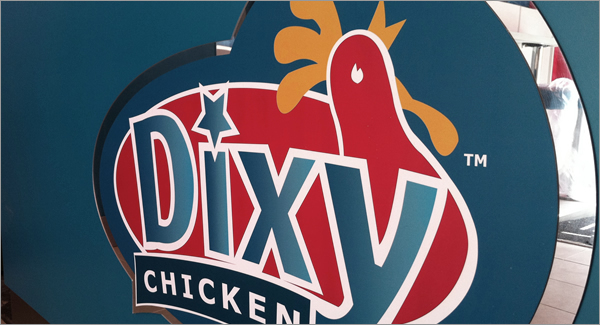 Used in conjunction with refreshed brand colours and modern interior design, we have created a striking and vibrant environment inside Dixy Chicken's first foray into Liverpool. 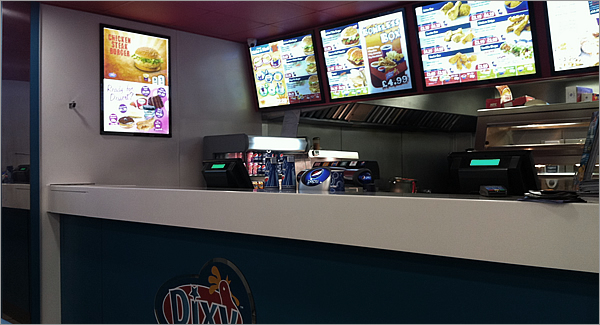 Situated in a heavily populated student area the store is located on one of Liverpool's busiest roads linking the suburbs to the city centre. 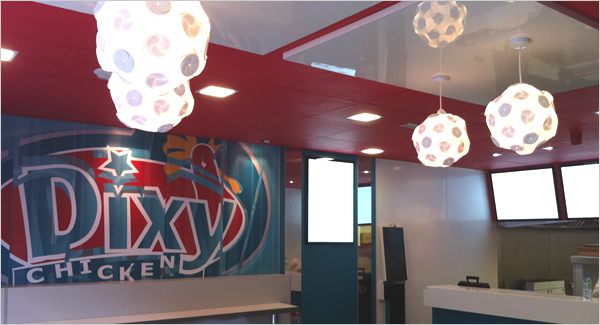 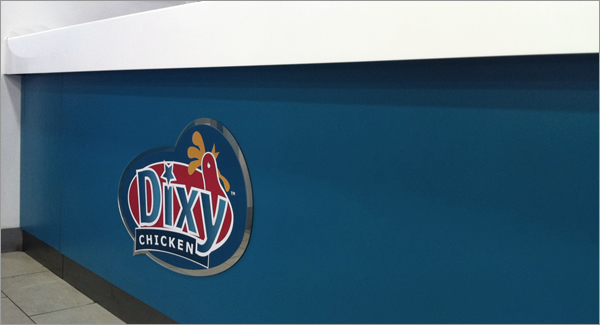 The introduction of a modern Corian counter, leather bench seating, wall graphics and chrome edging have combined to create one of Dixy Chicken's most impressive stores.